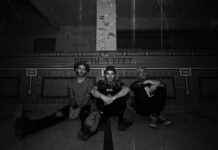 After the initial success of début full length 2012 LP, This May Hurt A Little and follow up EP, 2013’s “Don’t Be A Hero”, Battleghost are set to write their latest chapter with the release of “Transient”. Forming in 2011 and immediately turning out their raw, impassioned début EP “Villains Beware”, the Richmond natives have barely stopped to take in their already dramatic rise in popularity across the East Coast. 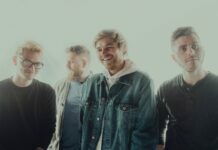 Building on their success year on year, 2013 saw Battleghost undertake a headline tour of the USA, having previously shared the stage with bands like Bowling For Soup, State Champs and Man Overboard. “Transient” is an entirely more mature take on the bands well-honed pop-punk sound. Recorded at the prolific The Looking Glass Recording (Senses Fail, Vacationer, Darkest Hour) in North Atlanta, it reflects a band on the cusp of realising their potential. Not content with recording among giants, Battleghost have entrusted the mastering of “Transient” to Azimuth Mastering, whose previous clients include The Wonder Years, Empire! Empire! (I Was A Lonely Estate) and Midtown. Nici is Substream's Marketing Director and a graduate of The Ohio State University. She lives for cheesy sitcoms, reality TV and lots of coffee.